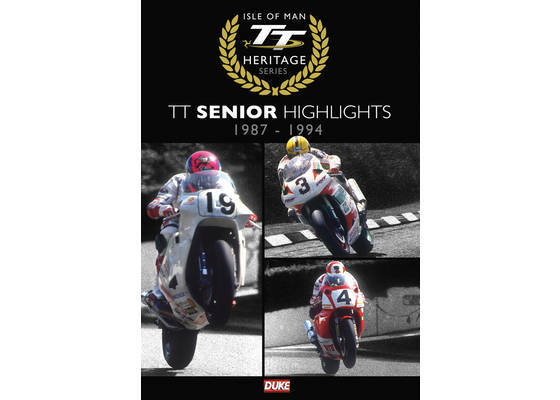 The product "DVD Isle of Man Senior TT Highlights 1987-1994" was successfully added to your wishlist. In the late 1980s competition was particularly fierce at the TT as King of the Mountain Joey Dunlop fought off the growing challenge of the young pretenders like Carl Fogarty and Steve Hislop. As Hizzy and Foggy stretched themselves the scene was set for one of the most exciting TT races of all-time; the 1992 Senior. Records were shattered and a new generation of heroes inscribed their names in the history books. This film is about this thrilling era. Running time 137 minutes, English language.